Anyone who has ever built or modified their own engine knows that the innards of their cylinder head can literally make or break the engine. The valvetrain inside a factory-stock LS is actually pretty good, all things considered. However, we all know anyone who owns an LS usually gets a severe case of the mod bug and feels the need for more power, and we want to make sure you get the most bang for your buck when you upgrade your LS valvetrain. Old school small block Chevy guys can swap out stock rocker arms for a set with more leverage and can pick up some reasonably decent power just by that upgrade alone. But, just like many other areas of the Gen III and IV LS family, because the new engines are so good from the factory, there isn’t a lot of power to be gained from the traditional valvetrain upgrades that paid big dividends with earlier Chevy V8’s. That doesn’t mean there isn’t anything left on the table, though – it just means you have to be smart about it, and know where to look. How Does the LS Stack Up to the SBC? Another difference in the LS valvetrain is that they come stock with a fairly large diameter camshaft. “The reason the camshaft is larger is because the larger the diameter of the camshaft, the stiffer it will be and the more stable it will be,” Clay explains. The GenI and GenII Chevy small blocks came with comparatively small journal camshafts. The GenI’s cam was 1.868″ in diameter, and the LS cam is roughly about 0.300″ larger at 2.165″. The stock Gen III and IV valvetrain setup is miles better than anything that came on a pre-LS Chevy Small Block, but there are always areas of potential improvement. Like every other engine in the world, the LS has its strengths and weaknesses. We asked our panel of experts about their take on what the weak links of the LS valvetrain are, for both street and race use. While for the most part, it’s pretty good as designed, there are some clear areas that need attention. “Beehive” springs (right) don’t have the same predominant natural harmonic frequency that cylindrical springs do, making them less likely to “bounce” and stop following the cam profile. Switching from the early LS1-style timing chain (bottom) to the more-robust LS7 factory chain is a cost-effective upgrade that might just save your heads and pistons. Anytime you stray from the factory set up, even with a very mild mannered cam, it’s going to require more seat and open pressure. Even though the LS6 and LS2 stock springs can handle a little bit more lift, they will still be on the weak side as far as seat and open pressures go. It’s a false economy to do a cam swap without dealing with these potential failure points at the same time. “Generally, the stock valvetrain components are designed to take a lot, within their limits – that being stock rev points. GM created lots of ‘safety’ features to ensure protection from over-rev damage and any other damage done from exceeding the factory limits,” says Clay. Of course, deciding on stronger valvetrain components will depend on a lot of things, taking your camshaft profile into consideration. Some advice when considering solid lifter cams and aggressive hydraulic cams: “Once you get into these types of cams, this is when we really have to start talking about a whole host of other factors that need to be upgraded as well: higher compression ratios, exhaust systems, aftermarket heads, better intake manifolds, larger throttle bodies, and almost always, some kind of tuning,” states Clay. The right cam can really wake up an already-potent LS. Cams should be considered part of a package that includes new springs, pushrods, and retainers. Frequently, people don’t question their build in relation to their cam profile – and you should. What kind of ports do your cylinder heads have? Are you running rectangular or cathedral? “They like different things. 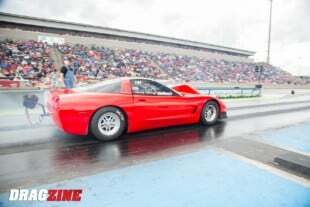 Most LS engines, in particular, like split pattern cams with a larger duration on the exhaust side,” says Clay. 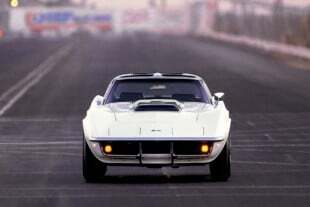 “As an example, a stage 1 type car with stock LS1 cylinder heads would like about an 8 degree split between the intake and exhaust durations. When we get into the LS3/L92, and especially LS7 heads, you’ll tend to see camshafts with 20 degrees or more of extra exhaust duration. This is because the intake ports on these heads work so well that you will really have to increase the exhaust duration to get the spent exhaust gasses out of the way,” Clay explains. With the vast majority of LS engines running EFI, the rules about lobe separation angle are somewhat different. “It’s not uncommon to see cams in a catalog with 118 degrees. That tends to be because the wider we make the lobe separation, the less overlap we will have, which is the time when both the intake and exhaust valves are open. And with less overlap, the easier these cars are to tune with a computer. You may see a lot of race type cams with 110 LSA’s, but I can assure you that a lot less tuning has gone into making that car run right. The average guy doesn’t have the time to spend getting a car like that to run good on the street,” says Clay. 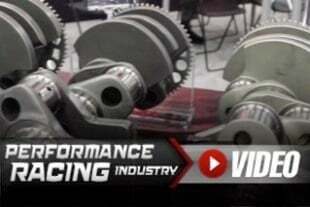 Ryan Pritcher from COMP Cams had a whole lot of input on camshaft selection as well. “Stockish cathedral port heads usually like lifts in the .580 to .600 range, but the L92 style rectangular port heads like to be just a little over .600 to about .625. You really have to look at what kind of cylinder head you are using, especially if you have a factory casting. Compare that to a good stock-style head for the GenI small block like the Vortech heads; they were capped off around .525 even with beehive valve springs. The LS heads are a 15 degree head, and they really like to move some air and breathe a lot,” he explains. Of course, one thing that hasn’t changed over the years is the mistaken idea that since a little is good, a lot must be better. We all know someone who is guilty of this. And LS guys are as bad as anyone about getting hung up on their dyno numbers and being only interested in reaching that giant peak number at the rear tires. It’s just too easy to get fixated on what the dyno sheet reads and how it compares with other cars that they’ve seen on the internet or YouTube. When you do that, it is easy to forget about the drivability and how the engine is going to act in at lower RPM where it will spend 90% or more of its life. “If you’re mostly cruising around town and hit the drag strip two or three times a year, 226/228 228/230 112 LSA is plenty rowdy enough to give you the camshaft sound you’re looking for and still be plenty streetable,” says Pritcher. How, exactly, do all these factors play into the cam decision? “You’ve got to look at the gear ratio and see where it’s going to put the cruise RPM, how much it weighs and getting it off the line to really get it moving. In a heavier street car, you’ll want to step down just a bit on your camshaft selection to try to get more low-end torque to help get it moving. 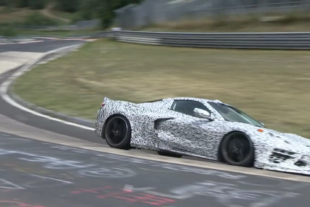 But if it’s a full blown race car, you don’t need to worry about that as much since you’ll likely be launching at 4,500 off the transbrake or really slipping the clutch so you don’t have to be as worried about how it does down low,” says Pritcher. LS1-style heads typically like about an 8 degree split between the intake and exhaust durations, while LS3/7 heads need more like 20 degrees of extra exhaust duration because they flow so well on the intake side. We cannot stress it enough – be honest about what you want to use the car for! Do you want to street drive it? Mostly public roads with a little bit of drag strip? Full-on drag car? All of those have different requirements, and the aftermarket can handle just about any request from you, as long as you know what you want the car’s application to be. It’s always a good idea to play it safe and upgrade important valvetrain components when doing a cam swap. Not only is it easy to do, but it’s also affordable and very much worth every hard earned penny spent. While the stock components are durable and trustworthy with a stock cam, once you increase the lift, duration, or both, supporting mods are a necessity. For serious race applications, a switch to a solid lifter cam will also require adjustable rocker arms to allow you to properly set lash. Even quality aftermarket valve springs won’t last forever; our experts suggest thinking of them as another “consumable” with a very long lifespan. Since LS engines don’t have adjustable rockers, the pushrods are what determine the amount of preload. Most aftermarket cams have a smaller base circle, which in turn, means that you will need a little bit longer pushrod. In a situation like that, if you don’t get longer pushrods you won’t have enough preload and you will get some valvetrain noise. Stephanie is an engine builder that has GM blood that runs generations deep and an LS obsession that is literally skin deep. Also known as LSwut, Stephanie discovered a knack for writing when she realized she could write about the cars and engines she loves and hasn't looked back. Much of her free time is spent working on her '98 Trans Am WS6.